If you're looking for a fun family day out this weekend, why not check out the Baldivis Country Fair? Set in a small pocket of bush in semi-rural Baldivis, the market has a country feel that's hard to come by in the suburbs. Hot billy tea and damper? You betcha. Over 37 years, the markets have become a popular community event, attracting about 10,000 people to the one-day event. Rides, showbags, arts and crafts stalls, native plant stalls, food, live entertainment, face-painting, cake decorating competitions, farm animals and more make for a day brimming with activity. It does get busy, meaning you may have to park and walk, but really, it's only a few minutes. Just remember to pack the hat and sunscreen (and water) - the weather is warming up and there's limited shade on the oval. I've been a number of times and what stands out is the community atmosphere - friendly, giving and family-oriented. The Fab Four are well past the days of face-painting and rides, but I still get a kick out of seeing the little ones get so excited by what's going on. 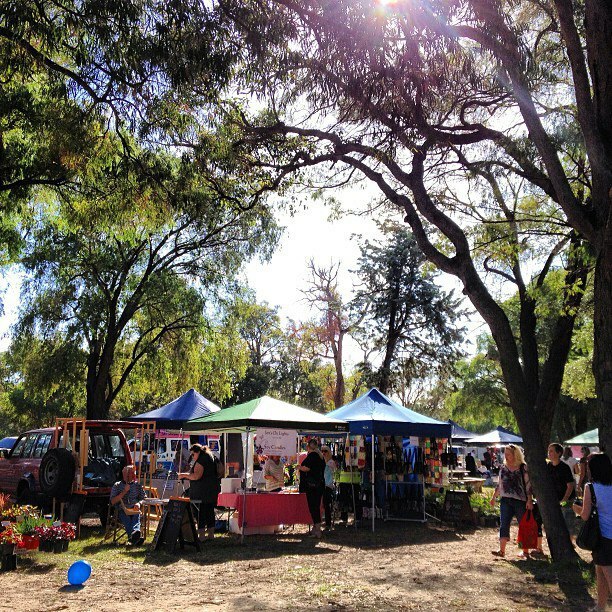 The Baldivis Country Fair is run by the Baldivis Primary School P&C. It will run from 10am to 4.30pm on Saturday, November 2, 2013 at the corner of Fifty and Baldivis Roads, Baldivis. With Mundijong Road closed pending a major extension, the best way to get there from the freeway is to exit at Safety Bay Road, turn right onto Baldivis Road and follow it until you see all the cars. What's On at Koorliny Arts Centre in 2017?